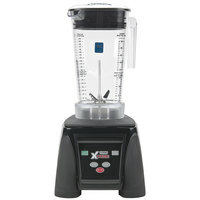 A bar blender is a great addition to your bar or restaurant because it helps you make signature drinks, like margaritas, daiquiris, and pina coladas. 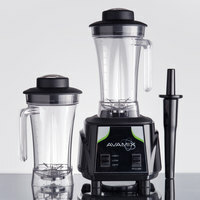 You can choose from low-volume blenders designed to make several drinks per day as well as high-volume blenders that can produce over one hundred beverages per day! Whether you run a busy bar or blend up smoothies only occasionally at your cafe, we have a bar blender for you. 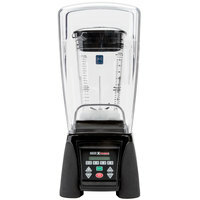 These commercial bar blenders come with copolyester, glass, polycarbonate, or stainless steel jars, so you can pick one based on durability and product visibility. 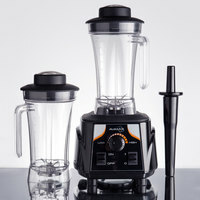 The jars come in various capacities, too, so you can make a few drinks or many at a time, depending on your demand for output. 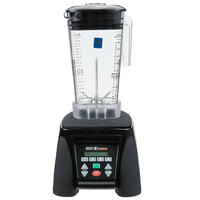 Available with digital control pads or simple toggle switches, these blenders are easy for any bartender to operate, too. 13 32 - 44 Oz. 11 48 - 58 Oz. 11 60 - 64 Oz. 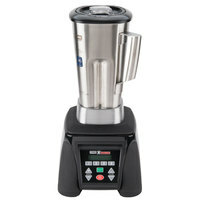 Best - Like the Waring MMB142, this Waring MMB145 48 oz. 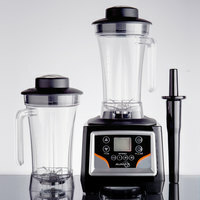 blender comes with a large, clear container and is great for medium to heavy food and beverage preparation. 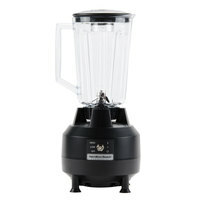 However, this blender has a 2 hp, 2-speed commercial motor to make up to 74 drinks per day rather than the MMB124's 60. 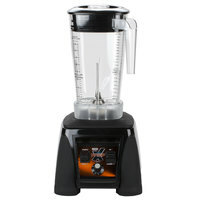 Good - This Hamilton Beach HBB250R Rio bar blender has a 3/4 hp, 2 speed motor for powerful mixing. It comes with a durable 44 oz. 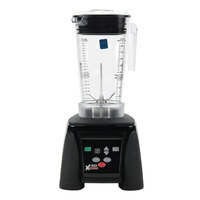 polycarbonate container that's clear for excellent product visibility, and features a wave-action blade that ensures that there are never chucks of ice left over at the end of the blending process. 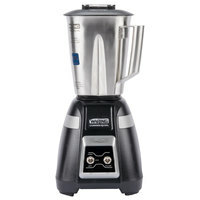 Better - Like the Hamilton Beach HBB250R, this Waring BB180 44 oz. 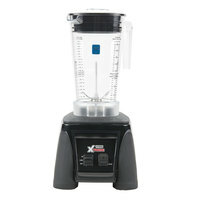 NuBlend commercial blender has a 3/4 hp motor and comes with a 44 oz. polycarbonate container. However, it is built stronger for a longer-lasting product. Best - This Waring BB300 Blade 48 oz. 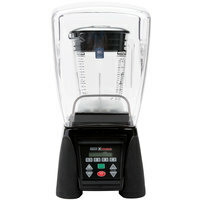 bar blender boasts a 1 hp, 2 speed motor, giving it the ability to make up to 49 drinks per day. It also comes with a 48 oz. 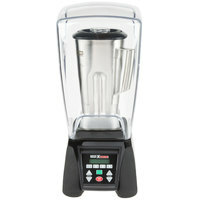 copolymer jar that can hold more product than the Hamilton Beach HBB250R and the Waring BB180. 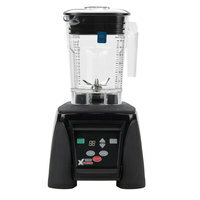 Good - This Hamilton Beach HBB909 1/2 hp commercial bar blender has 2 speeds to accommodate a variety of different beverage items. It also comes with a 32 oz. 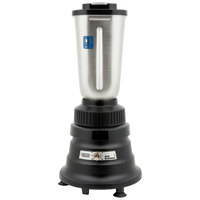 stainless steel container that's extremely durable for long-lasting performance with high-volume use. 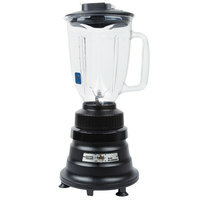 Best - Like the Hamilton Beach HBB909 blender, this Waring BB155S 32 oz. 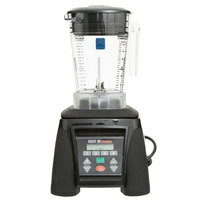 commercial bar blender has 2 speeds for greater control over the consistency of your drinks. It also comes with a 32 oz. stainless steel container for heavy-duty use. 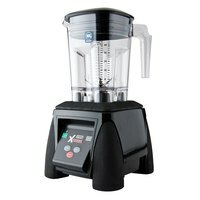 However, the Waring blender has a 3/4 hp for even more blending power and can make up to 25 drinks per day. 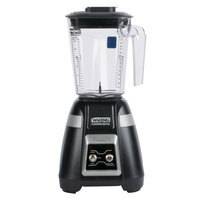 Good - This Hamilton Beach HBB250SR Rio 3/4 hp 32 oz. 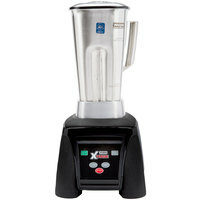 stainless steel commercial bar blender features a 3/4 hp compressor and 2 speed settings with a pulse option for quick, easy operation. 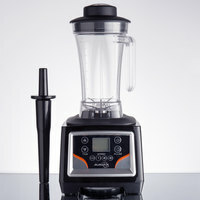 Plus, the bowl and blade are removable for easy clean up and sanitation. Waring BB180S NuBlend 2 Speed Commercial Bar Blender with Stainless Steel Container - 32 oz. 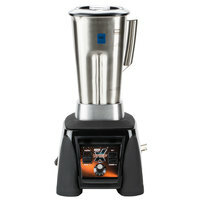 Better - Like the Hamilton Beach HBB250SR, this Waring BB180S NuBlend 32 oz. 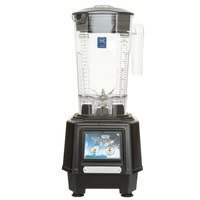 2 speed commercial bar blender has a 3/4 hp, 2-speed motor that's great for mixing drinks and pureeing foods. 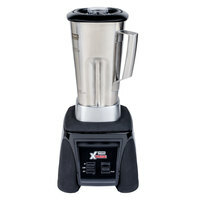 The stainless steel blade is also removable for simple clean up. 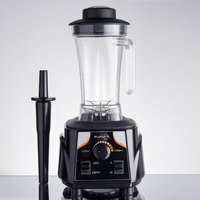 However, this blender is specially designed to gradually allow ingredients to sink toward the blades to help prevent jams or clogs in the blade assembly. Best - This Waring BB300S Blade 48 oz. 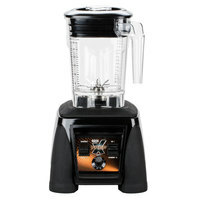 bar blender boasts a powerful 1 hp, 2 speed motor that gives it the ability to make 25-49 drinks per day. 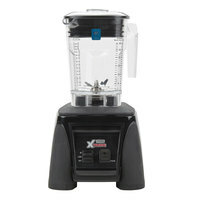 It features user-friendly toggle controls and comes with a 48 oz. container, allowing you to create bigger batches of product.